Although the Big Rock is an outstanding hunting knife, Bill Harsey designed this fixed blade to be an excellent all-purpose camping knife as well. 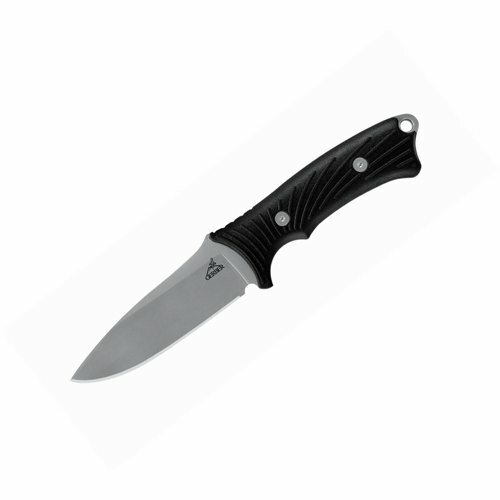 The full tang drop point blade comes in both fine edge or serrated, and the ergonomically shaped glass-filled nylon handle uses a Softgrip over mold with textured grip points for maximum comfort and control. A finger guard protects, and the lanyard hole is compatible with 550 cord. Nylon sheath with protective insert included.